Alex Adams. Courtesy of the artist. 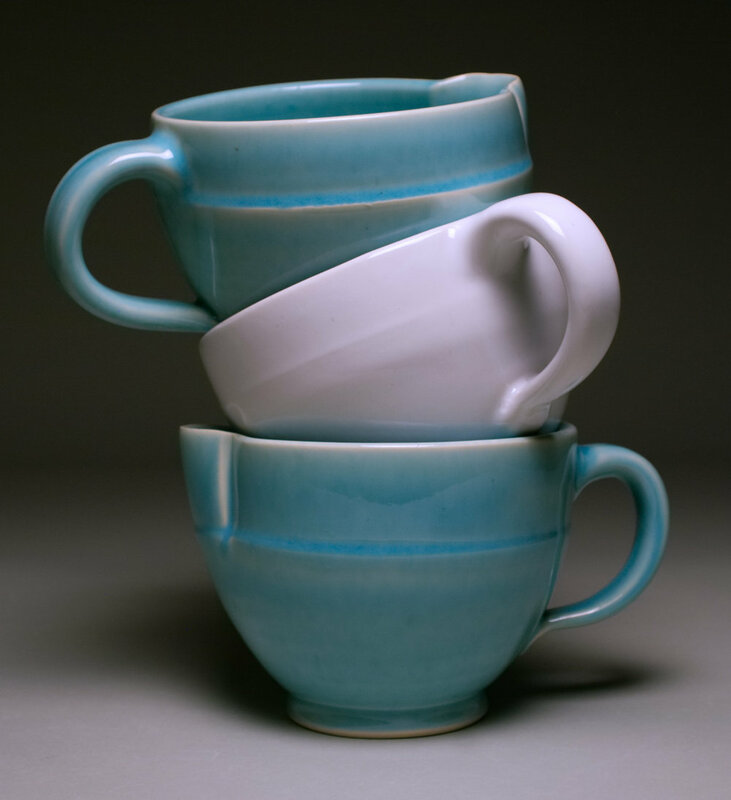 Clay is among the most malleable of three-dimensional mediums. It is both strong and supple. A form can be drawn from a lump on the wheel into a sturdy yet graceful form of high functionality, but onto that impressionable surface, textures and decorative motifs can be so easily imposed. Alex Adams has been using a stamp technique that leaves behind sharp corners that violate the visual integrity of the surface in a manner that hints that the structural integrity might also be compromised, but nothing could further from the truth. Adam’s work is functional, but there is room for wit. 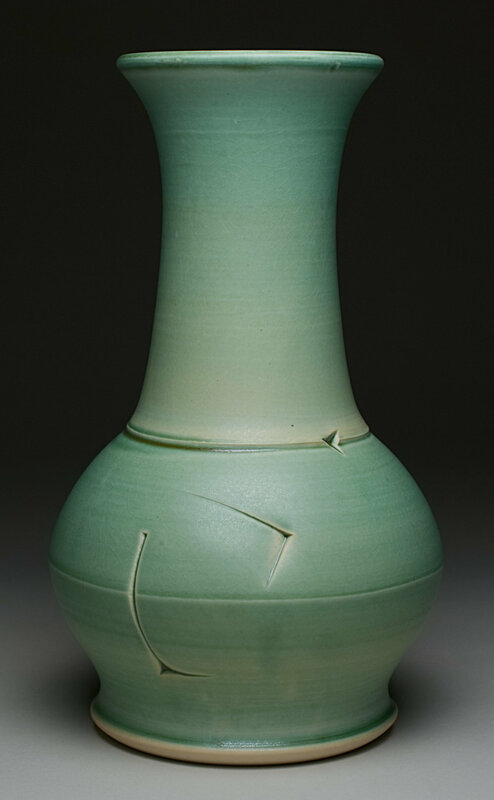 In a pair of vessels he titled, “Cupple,” the two bowls are very much alike, except that one shows a protrusion that would appear to fit perfectly into an indentation in the companion piece. There is a play on both words and on form that suggests a commentary on gender fluidity. Or perhaps a ceramic bowl is just a ceramic bowl. In spring 2017 Adams was a recipient of an Artist Professional Development Grant from the Great Meadows Foundation. 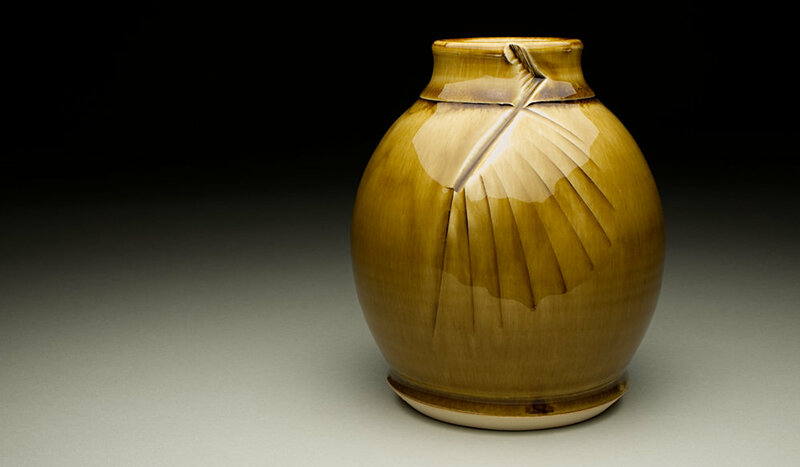 Through October 10, Adams will have an item on display for the Louisville Clay Jury show at Mantle Gallery, located at the Mudworks location on Barret Ave. His work can also be found at AA Clay Studio & Gallery, of which he is owner/proprietor and where Louisville Clay artists are featured in an exhibit during the months of September and October. AA Clay Studio & Gallery will offer a 2-day Raku workshop in October for Intermediate to Advanced students.